On a hot Summer day, who really wants to add fuel to the fire by turning on the stove? …That’s what I thought. Thankfully, we can turn to salads to bring us cool and nourishing meals that are fast and furiously healthy. Keep the oven off and put away those oven mitts, because we’re keeping it raw with this recipe! 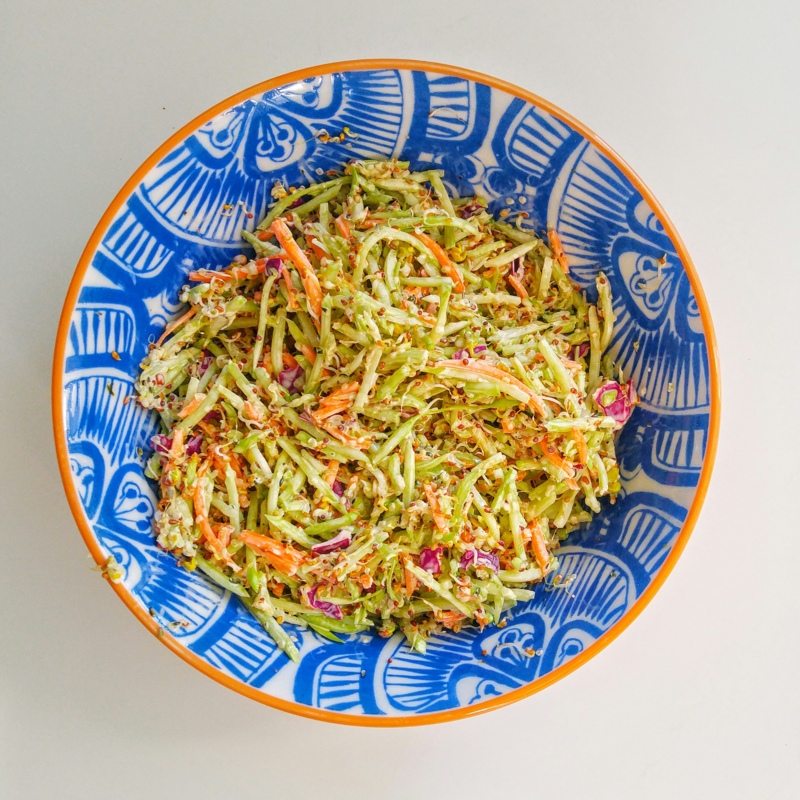 Introducing my Super Seedy Broccoli Slaw! This salad is ridiculously quick to make and full of good-for-you ingredients. You can take it to your next BBQ, picnic, or divide it up between your family’s lunches for the week. Serves 2-3 people as a side dish. Note: all ingredients can usually be found at the Danforth or Beaches Community Market. In a large mixing bowl, add all of the ingredients and stir well to combine. Let chill in the fridge for a few hours for optimal flavour.